Stephen A. Williams, and his wife, Christina, purchased the funeral home in November of 2005. 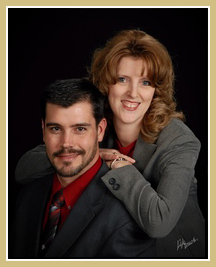 Steve and Christina are both life long residents of the Greenville area. They have two sons, Stephen V. Williams, born on May 25, 2004; and Sawyer A. Williams, born on August 13, 2008. They are members of Zions Reformed United Church of Christ in Greenville. Steve graduated from Greenville High School in 1993, Clarion University of Pennsylvania in 1998 with a Bachelor's Degree in Communications, and from Pittsburgh Institute of Mortuary Science in 2000 with a Degree in Funeral Directing and Embalming. While at Clarion, he worked for Goble Funeral Homes and the Clarion County Coroner's Office. He is a former member of the Northern Mercer County United Way where he served as past campaign chairman and past president, a former member of the Canal Museum Board, current member of the Greenville Rotary Club where he served as President and treasurer, and President-Elect of the Greenville Area Chamber of Commerce, and received “Business Person of the Year” in 2010. Steve maintains an active role in his memberships with the National, Pennsylvania and Mercer County Funeral Director's Associations. He is a past board member, and past president, of the Western Pennsylvania Funeral Director’s Association. In 2001, he volunteered for two weeks at the New York City Office of Chief Medical Examiner following the terrorist's attacks on the World Trade Center. His role was to help with the identification and release of remains to local funeral homes in New York City. Steve has also earned the designation of Certified Funeral Service Practitioner (CFSP), which distinguishes those who offer more than what is expected of them. The CFSP designation is the highest professional designation you can achieve in funeral service. When you see the CFSP credential next to a name, you know right away that you are working with a highly self-motivated person with a driven desire to learn, grow and achieve. Stephanie was born and raised in Edmond, Oklahoma, a suburb of Oklahoma City. She is the oldest of four children. Shortly after graduating from high school, Stephanie and her family moved to Greenville, as most of her mother's side of the family resides in the area. She is a 2013 graduate of the Pittsburgh Institute of Mortuary Science. Stephanie received a Diploma in Embalming and Funeral Directing and an Associate in Specialized Business Degree in Funeral Service Management. In recognition of outstanding academic proficiency, she was presented the Mu Sigma Alpha Award, also known as the Mortuary Science Award, by the National Association of Colleges of Mortuary Science. Stephanie is a Certified Crematory Operator through the Cremation Association of North America (CANA). During her time at the Pittsburgh Institute of Mortuary Science, she served on the student senate for three terms, finishing her last term as Secretary/Treasurer. Stephanie completed her 12 month internship with Osborne-Williams Funeral Home and Cremation Services, Inc., and became a licensed Funeral Director in the state of Pennsylvania on July 1, 2014. In March of 2015, she became a licensed Insurance Agent in Accident and Health, Life, and Fixed Annuities, in order to assist families in their preplanning funeral needs. Stephanie is a current member of the Kiwanis Club and Benevolent and Protective Order of the Elks Lodge 145, both of Greenville.